First name is pronounced AY-you-hay-nee-oh...in 2018 was voted by his peers to his first All-Star team and by the Cincinnati chapter of the Baseball Writers' Association of America the Ernie Lombardi Award as the Reds' Most Valuable Player...in 2018 was 1 of only 7 players in the Major Leagues to hit at least .283 with at least 34 HR and 104 RBI...became only the fourth player in franchise history to hit 30 HR in a season while playing primarily third base (Deron Johnson, Tony Pérez twice, Todd Frazier)...became the 18th Reds player at any position with at least 30 HR and 100 RBI in a season...is 1 of only 11 players born in Venezuela to hit at least 30 HR in a season...shares the franchise record for consecutive apps with at least 1 home run (5g, 7/23-7/27, 2018)...since RBI became an official statistic in 1920, is the only Reds third baseman ever to record at least 8 HR and 29 RBI in a calendar month (May 2018, 8 HR, 29 RBI)...in 2017 received the Joe Nuxhall Good Guy Award in voting of the local chapter of the BBWAA...in 2015 led the Reds in starts at SS and in each of the last 3 seasons (2016-2018) led the club in starts at 3B..in 2012 and 2013 was an MiLB.com Tigers Org All-Star...in 2012 was a Midwest League All-Star, West Michigan's Player of the Year, MWL Player of the Week for 5/28-6/3 and the Tigers' Minor League Player of the Month for June...won an MiLB.com Gold Glove Award...following the 2018 season participated in MLB's Japan All-Star Series with Nippon Professional Baseball. Was voted by his peers to his first All-Star team and by the local chapter of the BBWAA the Ernie Lombardi Award as the Reds' Most Valuable Player...received two 10th-place votes from the BBWAA for the National League's Most Valuable Player Award...was 1 of only 7 players in the Major Leagues to hit at least .283 with at least 34 HR and 104 RBI (J.D. Martinez, Christian Yelich, Nolan Arenado, Manny Machado, Trevor Story, Javier Báez)...is 1 of only 4 third basemen in Reds history to produce at least 30 HR in a season (Todd Frazier, Tony Pérez twice, Deron Johnson)...was a finalist for the Louisville Slugger Silver Slugger Award...among National League third basemen ranked second in HR and RBI; third in hits, slugging and extra-base hits; and fourth in BA and on-base percentage...despite missing 16 games in April with a fractured right thumb ranked among the overall National League leaders in RBI (6th), HR (T7th), slugging percentage (8th, .526), OPS (10th, .892), BA vs LHP (9th, .320), RBI ratio (2nd, 5.1ab) and HR ratio (2nd, 15.5ab)...from 4/9-4/25 was disabled with a fractured right thumb...suffered the injury on 4/8 at Pit, when he was hit by a Jameson Taillon pitch...missed 16 games (3-13)...led the team in HR, RBI, slugging percentage (.526) and OPS (.892)...led the team in starts batting fifth in the order (54gs) but also hit second (8gs), third (7gs) and fourth (72gs)...established career highs in batting average, hits, HR, RBI, slugging percentage, OPS, total bases (277) and extra-base hits (58)...from 7/23-7/27 homered in 5 straight apps to tie the club record for consecutive games with a HR (8th player)...only Kendrys Morales (7g) and Matt Carpenter (6g) had longer home run streaks in the Major Leagues in 2018...was 1 of only 10 players in the Major Leagues to produce at least three 10-game hitting streaks (13g, 13g, 10g)...his career-high 13-game hitting streaks (6/8-6/23, 6/27-7/10) were the longest by any Reds batter in 2018...became only the third Reds batter since 2000 with at least 70 RBI (71) prior to the All-Star break, joining Ken Griffey Jr. in 2000 (72) and Brandon Phillips in 2013 (74)...in May led the Major Leagues in RBI (29) while ranking T3rd in both extra-base hits (15) and HR (8)...since RBI became an official statistic in 1920, is the only Reds third baseman ever to record at least 8 HR and 29 RBI in a calendar month...tied the franchise record for most RBI by a Reds player in his first 20 apps of a season (25)...played in his 20th game on 5/8 vs NYM and produced 4 RBI to give him 25...George Crowe (1958), Vada Pinson (1962) and Ken Griffey Jr. (2006) each produced 25 RBI in his first 20 games of those respective seasons...in the 9-game homestand from 4/30-5/9, became the first Reds batter to produce 15 RBI in a homestand since Jay Bruce had 15 RBI in 7 games from 8/8-8/14, 2011...in those 9 apps vs the Brewers, Marlins and Mets at Great American Ball Park, he hit .313 (3 2b, 3hr, .688slg, .395obp)...in the 14-3 loss on 4/6 vs Pit started at 3B but moved to SS in the eighth inning...was his first appearance at SS since 8/20/17, when he made his only appearance of that season at that position...finished the 2018 season with 3 apps at SS, including a start on 8/21 at Mil...is his only start at SS since 4/14/16 at Cubs...on 4/1 vs Wsh made the 500th appearance of his career...hit the second of the team-record 11 grand slams (5/24 vs Pit off Ivan Nova)...was his third career grand slam...between his 32nd and 33rd HR (solo HR off Alex Wood on 9/10 vs LAD, 2-run HR off Nick Kingham on 9/28 vs Pit), went 13 apps and 49 at bats, both season highs, without a home run or RBI...finished the season with 2 HR in his last 3 apps...following the season participated in MLB's Japan All-Star Series with Nippon Professional Baseball. In voting of the local chapter of the BBWAA received the Joe Nuxhall Good Guy Award...established career highs in runs, HR, RBI, walks, on-base percentage, slugging percentage and OPS...tied career highs in doubles and triples...led the team with nine 3-hit games...led National League third basemen in fielding percentage (.976)...from 7/3-9/27 produced a 71-game errorless streak, the longest of his career...committed 3 of his 9 errors over his last 3 apps of the season, including 2 errors on the same play in the Reds' final game of the year...made 153 apps and 149 starts at 3B...in the bottom of the fifth inning of the 8-1 loss on 8/20 at AtL made his only appearance of the season at SS as part of a double switch in which he replaced starter José Peraza...made a team-high 93 starts batting fifth but also hit second (6gs), fourth (14gs) and sixth (36gs)...had his best month in August, when he hit .348 with 8 HR, 20 RBI and an OPS of 1.184 (.487obp, .697slg)...from 8/9-8/25 produced a career-high 16-game on-base streak (21-52, .404, 5 2b, 6hr, 16rbi, .846slg, .556obp) that included a career-high 10-game hitting streak (8/15-8/25, 14-35, .400, 3 2b, 4hr, 11rbi, .829slg, .511obp)...produced 21 home runs at home, tied for the fourth-highest single-season total at Great American Ball Park (Adam Dunn 26, Dunn 25, Dunn 22, Jay Bruce 21)...in the seventh inning of the 8-7 loss on 5/23 vs Cle produced his first career pinch-hit HR, a 3-run shot off Bryan Shaw that tied the score at 7-7...produced three 2-homer games...following a called strikeout on 7/9 at Ari was ejected for the first time in his career (HP umpire Brian O'Nora)...on 8/17 at Cubs singled and doubled in the 9-run second inning...from 9/19-9/21 missed 3 games for the birth of daughter Nicolle. Led the club in games played, at bats and 3-hit games (11)...ranked T2nd in the National League in games played...among National League third basemen ranked sixth in HR, seventh in RBI and T6th in extra-base hits...became only the 10th third baseman in franchise history to produce at least 20 home runs in a season, joining Gene Freese (1961), Deron Johnson (1965), Tony Perez (1967, 1969-1971), Buddy Bell (1986), Chris Sabo (1990-1991, 1993), Aaron Boone (2002), Edwin Encarnacion (2008), Scott Rolen (2010) and Todd Frazier (2014-2015)...missed only 3 games all season (4/18 vs Col, 5/29 at Mil, 7/10 at Mia)...made 149 starts at 3B, 1 start at SS (4/14 at Chi) and 1 start at DH (8/29 at LAA)...in his last 69 apps of the season beginning 7/19 hit .279 (67-240, 20 2b, 5hr, 28rbi, 5sb)...from 4/6-4/10 homered in 4 of his first 6 apps of the season (9rbi), the first Reds batter with 4 homers in the club's first 6 games since Adam Dunn had 4 HR in the first 6 games of the 2004 season...produced 4 homers over 5 apps from 4/6-4/10 and 3 homers over a 4-game stretch from 5/15-5/18...in the 10-6 win on 4/7 vs Phi hit his first career grand slam (off Daniel Stumpf)...in the 11-4 win on 6/2 at Col established career highs with 2 homers and 10 total bases and tied career highs with 3 hits and 4 RBI...on 7/18 vs Atl celebrated his 25th birthday with a 2-run HR off Matt Wisler...in the 3-2 win on 9/2 vs StL produced the first walkoff hit of his career, an RBI-single off Seung Hwan Oh...from 5/19-5/30 went 0-for-28, the longest hitless skid of his career and the longest by a Reds batter since Todd Frazier went 0-for-31 from 7/26-8/7, 2013...prior to that hitless stretch hit .313 during a season-high 7-game hit streak (3hr, 8rbi)...on 10/1 vs Chi snapped an 0-for-12 skid with his first HR since 8/30 at LAA, at 29 games his longest homerless drought of the season...reached base safely in all 22 spring training apps and overall hit safely in 20 apps. Led the club in starts at SS (95) and in starts batting seventh in the order (39)...began the season at Louisville but became the club's starting shortstop on 6/11, the day after Zack Cozart suffered a season-ending knee injury...although he didn't make his season debut until 6/11, his 13 homers ranked T8th among Major League shortstops and T4th among NL shortstops...on 8/31 and 9/1 at Cubs homered in consecutive games for the only time in his Major League career...produced hitting streaks of 6, 5, 9, 8 and 7 games... produced 2 successful suicide squeeze bunts...in the 10-run sixth inning on 8/24 vs Det (12-5 win) produced a solo HR and a 2-run double in the same inning Brandon Phillips had a 2-run HR and 2-run triple...on 8/8 at Ari, his 2-run HR in the fourth inning off Robbie Ray snapped the Reds' 30-inning scoreless streak, their longest since 1989...reached base in 49 of his 57 apps for the Bats. In his Major League debut made 85 apps for the Tigers, including 81g at SS and 2g at 3B...also made 54 minor league appearances for Class AA Erie and Class AAA Toledo...on 6/4 was promoted from Toledo and made his Major League debut that day vs Tor as a defensive replacement at shortstop...on 6/7 vs Bos became the 23rd player in franchise history to produce a home run for his first Major League hit (solo off Jon Lester)...became only the fourth Tigers rookie to homer in 3 of his first 7 career starts (Alex Avila 2009, Robert Fick 1998, Frank Doljack 1930)...on 6/14 vs Min finished a single shy of the cycle...following the season played for Caracas in the Venezuelan Winter League (17g, .250, 3 2b, 3 3b, 1hr, 6rbi). Split the 2013 season between Single A Lakeland and Double A Erie, appearing in 136 games...Opened the season with Lakeland -- batted .311 (32x103) in 25 games with the Flying Tigers...Compiled a season-best 11-game hitting streak April 19-30...Had his contract transferred to Erie on May 2...Collected a season-high four hits on May 23 versus Harrisburg...Batted .253 (112x442) with 24 doubles, four triples, nine home runs and 45 RBI in 111 games with Erie. Selected to the Midwest League's mid-season all-star squad as he spent the entire 2012 season with Single A WestMichigan -- tabbed the West Michigan Player of the Year. ... Second in the Midwest League with 147 hits, while he tied for third with 135 games played, finished fifth with 65 walks,tied for fifth with 209 total bases and tied for ninth with a .288 batting average. ... Led all Midwest League shortstops with 257 putouts. ... Compiled an 11-game hitting streak April 15-26, batting .419 (18x43) with four doubles, a home run and seven RBI. ... Batted .348 (31x89) with six doubles, a triple, two home runs and 12 RBI in 24 games during April. ... Tabbed the Midwest League Player of the Week for May 28-June 3 after hitting .643 (18x28) with four doubles, a tripleand three RBI in seven games during the week. ... Posted a 12-game hitting streak May 28-June 9, batting .556 (25x45) with eight doubles, a triple and four RBI. ... Collected a season-high four hits on June 1 at Lake County -- matched the high with four hits on June 3 at Great Lakesand July 18 versus Peoria ... Earned Tigers Minor League Player of the Month honors for June after batting .366 (30x82) with 11 doubles, two triples,a home run and seven RBI in 22 games. ... Hit .319 (43x135) with runners in scoring position. ... Named the ninth-best prospect in the Tigers organization following the season by Baseball America. ... Saw action in two games with Caracas in the Venezuelan Winter League following the season. Assigned to the Gulf Coast League Tigers to begin the 2011 season. ... Hit safely in nine of his 12 games with the Gulf Coast League Tigers, before his contract was transferred to Single AConnecticut for the remainder of the season on July 4. ... Collected a season-high four hits on July 11 versus Brooklyn. ... Compiled an 11-game hitting streak August 13-25, batting .412 (14x34) with two doubles, a triple, three home runs andeight RBI. Fourth in the Venezuelan Summer League with 70 hits as he spent the entire 2010 season with the VenezuelanSummer League Tigers, while he tied for eighth with a .311 batting average -- tabbed the Venezuelan Summer LeagueTigers Player of the Year. ... Collected a season-high four hits on July 7 versus the Venezuelan Summer League Rays. ... Named the 28th-best prospect in the Tigers organization following the season by Baseball America. Made his professional debut with the Venezuelan Summer League Tigers in 2009. ... Hit by a pitch 15 times, tops in the Venezuelan Summer League. Signed by the Tigers as a non-drafted free agent on October 9, 2008. April 26, 2018 Cincinnati Reds activated 3B Eugenio Suarez from the 10-day injured list. April 24, 2018 Cincinnati Reds sent 3B Eugenio Suarez on a rehab assignment to Louisville Bats. April 9, 2018 Cincinnati Reds placed 3B Eugenio Suarez on the 10-day disabled list. Right thumb fracture. June 11, 2015 Cincinnati Reds recalled 3B Eugenio Suarez from Louisville Bats. March 23, 2015 Cincinnati Reds optioned SS Eugenio Suarez to Louisville Bats. December 11, 2014 Cincinnati Reds traded RHP Alfredo Simon to Detroit Tigers for SS Eugenio Suarez and RHP Jonathon Crawford. November 18, 2014 SS Eugenio Suarez assigned to Leones del Caracas. June 4, 2014 Detroit Tigers recalled SS Eugenio Suarez from Toledo Mud Hens. May 21, 2014 SS Eugenio Suarez assigned to Toledo Mud Hens from Erie SeaWolves. March 27, 2014 SS Eugenio Suarez assigned to Erie SeaWolves from Toledo Mud Hens. March 23, 2014 Detroit Tigers optioned SS Eugenio Suarez to Toledo Mud Hens. November 20, 2013 Detroit Tigers selected the contract of Eugenio Suarez from Erie SeaWolves. May 2, 2013 Eugenio Suarez assigned to Erie SeaWolves from Lakeland Flying Tigers. April 10, 2013 Eugenio Suarez assigned to Erie SeaWolves. March 30, 2013 Eugenio Suarez assigned to Lakeland Flying Tigers from West Michigan Whitecaps. January 16, 2013 Detroit Tigers invited non-roster SS Eugenio Suarez to spring training. October 11, 2012 SS Eugenio Suarez assigned to Leones del Caracas. 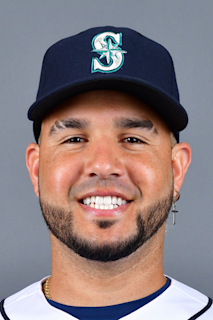 April 1, 2012 Eugenio Suarez assigned to West Michigan Whitecaps from Connecticut Tigers. March 25, 2012 SS Eugenio Suarez assigned to Detroit Tigers. July 4, 2011 Eugenio Suarez assigned to Connecticut Tigers from GCL Tigers. June 17, 2011 Eugenio Suarez assigned to GCL Tigers from VSL Tigers. March 29, 2011 IF Eugenio Suarez assigned to Detroit Tigers. May 17, 2009 VSL Tigers signed free agent SS Eugenio Suarez.